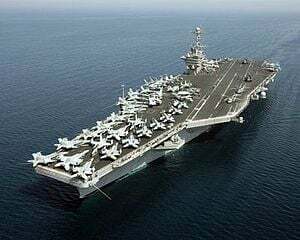 The USS John C. Stennis Carrier Strike Group sailed to the region from its home port in Bremerton, Washington on January 15th and passed through the Luzon strait separating Taiwan and the Philippines on March 1st. The Stennis is accompanied by the guided missile cruisers the USS Antietam and the USS Mobile Bay as well as the guided missile destroyers USS Stockdale and USS Chung-Hoon. The Antietam is based at Yokosuka Japan, and was ordered off its normal patrol to join the Carrier Strike Group. The 7th Fleet flag ship, the USS Blue Ridge is also in the area, having docked in Manilla on March 4th. 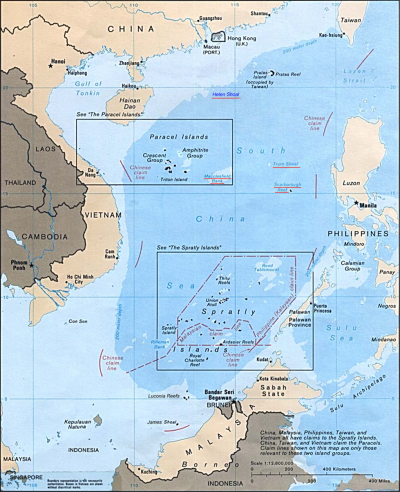 Trilateral talks were held onboard the Blue Ridge on March 5th between the U.S. Navy, Japanese Maritime Self Defense Forces and the Philippine Navy. The key subject of discussion was how the three nations can work together to confront China in the South China Sea, promote security and stability in the region, and develop future multilateral training and exercises.